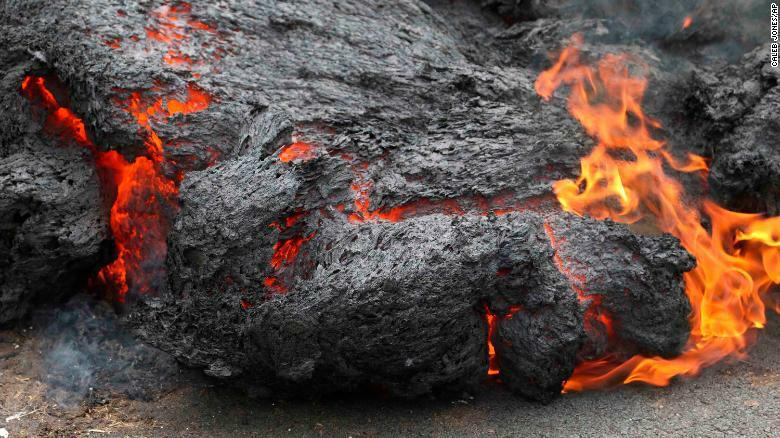 I stole an hour away from my kids this week to connect with the Akashic Records of Hawaii’s Kilauea Volcano. The spirit of this powerful place was so filled with love, it surprised me. Without meaning to, I had expected the eruption to feel disruptive or pushy, but instead it felt grounding, calm, and nurturing. I didn’t have enough time to create one of my usual audio recordings for my shop, so instead I’ve just printed up the the brief channeling for you here. Enjoy! What are we meant to learn from the current eruption of Kilauea in May 2018? As with every volcanic eruption, pressure is being released both physically for Earth and psychically those of you who live here. On the psychic level, this eruption is directly related to the pressure that has built for humanity in the past ten years as your societies are splitting apart across the world. Even as you are more connected than ever through information technology, you are becoming more separated from one another through that same technology. Twenty years ago, information technology brought you together to share ideas and develop understanding. Ten years ago, you began to sequester yourselves away from your friends and neighbors in order to engage online with those who agree with you, or those who feed your deepest fears and desires. In that time, the fabric of the human family has become stretched thin. As you walk together in the street, you are unaware of one another. You have never been more surrounded by other humans yet more alone. The enormous pressure that has built up contains the loneliness in every heart, the fears that keep you from looking into the eyes of those around you, and the anger that closes your ears to what people say and your hearts from the love you could share with others. This pressure cannot stand for long, and so the Earth is beginning to shift it so that you may work to realign what has been tangled. Information technology, and all the other luxuries of modern society, can be used to support global understanding and peace. It is up to each of you to realign your use of such technologies to support this. There is something unusual about the way the current eruption of Kilauea is emerging. Usually when pressure is released, it leads to a period of quiet both in the volcano and across the world. In this case, the enormous pressure that had built and the suddenness of this eruption have created a series of waves. This is similar to the kickback that occurs after an arrow is released. Rather than a quiet period, this eruption ushers in a period of global disruption as this pressure continues to find different ways to release. You will find increasing disruption in the physical Earth, with more earthquakes and other tectonic activity. You will also find weather intensifying as barometric and temperature pressures build and release in more dramatic ways. On the psychic level, you will find a marked increase in conflict across the world as tensions build and release through diplomatic negotiations. The Kilauea volcano has a spirit of its own, and this being feels honored to be part of ushering in an invitation to humanity to release pressure. Let your hearts feel the love of this land formation, and the expression of Planet Earth it offers. You are being invited to let go of the things that build a sense of pressure in your life. Let go of lies and self-deception. Let go of the stories you tell yourself to make sense of things that are too difficult to face. Let go of blaming yourself or others, and move toward making positive changes instead. You are being called to let go of the differences you hold against those around you. Turn away from your computer screen and look into the eyes of the people near you. Start a conversation. Listen to someone who disagrees with you. Let go of your need to be right or wrong. You are being called to participate in supporting a world that holds love for all. Pressure builds when you sit still or avoid what is yours to do. Step into the world, commit to positive actions, and follow through on your work to heal and realign your communities, governments, and other institutions so that they support love, equality, respect, and joy for all members of the human family. This is the invitation from Kilauea. This is the invitation from Planet Earth. This is the reason you were born at this difficult and pivotal time in human history. You were made for this, and you will be supported at every turn.